Master the use of more advanced Flash techniques including Movie Clip symbols, ActionScript, animation, application programming, and interactivity techniques. If you have a basic understanding of Flash techniques and you're eager to create more sophisticated and powerful Flash movies and applications, this course will take your Flash skills to the next level. You'll start by examining the versatile Movie Clip symbol, using it to create Flash movies—animations and special effects—inside other Flash movies. Then you'll delve into ActionScript and learn how to turn your simple SWFs into epic Flash masterpieces. For example, you'll learn how to write a single script that controls hundreds (even thousands) of objects based on user input. Interactivity that goes beyond simple buttons is crucial to many types of Flash applications. In these lessons, you'll find out how to use ActionScript to develop interactive courses, surveys, quizzes, and tests, using scripts that make decisions, count and keep track of user choices, and tally up and report the results. 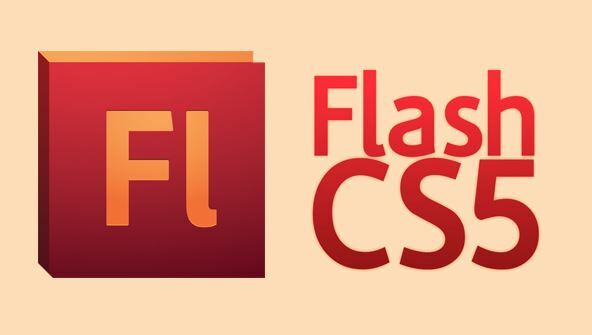 In addition, you'll learn how to compose and use external ActionScript Class files to extend Flash's capabilities. External ActionScript files allow you to use the same scripts across multiple SWFs, as well as to create SWFs that load and interact with other SWFs—the secret to creating in-depth, multifaceted Flash applications. While this course is heavy on useful, everyday ActionScript examples, it's not just about programming. You'll also try your hand at advanced Flash animation techniques, learning high-end Motion Editor skills for creating artistic transitions and other animated effects. In addition, you'll discover the secrets for creating intriguing Flash effects with advanced Bone tool features that make your IK bones appear more lifelike and believable, as well as the Deco tool, Spray Brush tool, Layer Masks, Onion Skins, and other techniques for creating professional-grade graphics and animations. And that's not all! You'll also explore Flash Catalyst, Adobe's new no-scripting, Flash-based application for creating user interfaces and custom Flash components. And you'll finish up with an examination of Adobe AIR, which allows you to create full-blown desktop applications that install and interact with computer operating systems just like traditional computer programs. In each lesson, you'll find practical, hands-on activities that allow you to practice the skills you're learning. By the time you finish this course, you'll know more than enough to confidently market yourself as a Flash designer. From the moment that you enrol in Flash CS5 Intermediate you will become an integral part of our learning community. You will experience the perks of classroom studies such as chatting by the water cooler or sharing your opinion on a specific task, all in your own home.